Checking your driving record in Arizona is the best way to find out exactly what information is being reported about your driving history. This ensures that the information found within your driving record is completely accurate and up to date. If there is any erroneous information about your driving history, this could negatively affect your ability to obtain affordable insurance. Additionally, it can also affect your ability to obtain employment in certain vocations such as commercial driving. Get a copy of your DMV driving record to find out what is listed about you with the State of Arizona Motor Vehicles Division. As a driver registered with the State of Arizona, your driving history is kept on file with the Arizona Motor Vehicles Division. This information is updated if any changes to your license status or driving privileges occur. Some of the changes which may be reported include tickets for speeding, DMV license points, DUI charges, and other relevant information. Becoming aware of your current driving record can help you to understand what the status of your license is and other important facts related to your driving privileges. Your DOT history can also impact your insurance premiums since the insurance company will check your driving history before providing a quote. An Arizona personal driving record is available to holders of commercial as well as standard driver licenses as well as to learner’s permit holders. Where can I get my driving record in Arizona? Motorists requiring a copy of their driving record in Arizona can obtain one from their local DMV office. However, the process can be lengthy and a copy won’t be mailed out for days and in some instances weeks. To simplify the process of obtaining a State-approved copy of your Arizona MVR, you can order a copy online through us and receive email delivery in less than 24 hours. What is on My DMV Driving record in Arizona? Obtaining a copy of your AZ DMV history report is recommended at least once every three years or more often. To find out what is on your official DMV history report as reported by the Arizona Motor Vehicle Division, you can request a copy online through 4safedrivers.com. Many drivers in Arizona may be concerned about exactly what they will find on their driving record. If you have had previous tickets in the past, it may be causing your insurance rates to be higher than normal. Whether you are worried about a reported car accident or driver’s license points on your driving record, you can have peace of mind once you actually pull your report. Your uncertified AZ MVR is available from your local DMV office as a 39-month report. You can also request a title and vehicle registration report as a separate document. To obtain an uncertified copy of your Arizona driving record report by email, simply fill out this short form to get started. An AZ DOT report includes information related to your updated driver license status and driving history for the past 39 months. You can also find out about any existing restrictions which may have been placed on your Arizona driver’s license. How many points are on my AZ driving record? Points listed on your AZ DMV ticket record will reflect any traffic related offenses committed while operating a motor vehicle. These points will show up on your AZ driving record. This includes any traffic offenses committed while in or outside of the State of Arizona. The Arizona Division of Motor Vehicles uses a point system to calculate traffic infractions for each license. Every offense is given a certain number of points. If the total points on any given license exceed a certain amount, then the license may be suspended or completely revoked. Drivers who are curious about their driving record points in Arizona can benefit from getting a copy of their Arizona driving record. This record will provide them with the information they need to get all of the facts related to the number of points on their license. What happens if there are points on my license? If there are points on your Arizona license record, then your license may become compromised. This means that your license could be suspended or even revoked if you have a high number of points on your Arizona DOT report. Another consequence of having points on your license is that your insurance rates may increase. Insurance companies consider individuals with high points on their licenses as a potential risk. This means that they may not extend a competitive quote to you and this equates to higher premiums. The only way to know for sure how many points are on your license is to request a copy of your Arizona driving history report. Simply fill out this short online form and get a copy delivered to you by email in less than 24 hours. In the event that there are points displayed on your AZ MVR that are there in error, you can send a request in to the DMV in your local area. This will usually require filling out a form for the adjustment to be completed. Reducing points on your Arizona DOT record will help you to qualify for lower insurance rates. Why Check Your Arizona Driving Record? Checking your Arizona driving record on a periodic basis is the best way to ensure that your driving history is accurate. Finding out ahead of time if there is any incorrect information on your report will protect you from potentially negative information that could be affecting your insurance rates. In addition, employers sometimes check your driving history before extending an offer of employment. This occurs even if the employment position is non-driver related. Finding out what is on your report ahead of time can help you to prepare for these circumstances. By taking the first proactive steps to request a copy of your driver record by email you can make sure that the correct information is being recorded regarding your driving history. Your insurance company may periodically check your driving history report in order to determine whether or not to raise your rates. Additionally, if you are applying for a new insurance policy, the potential insurer will access an abridged version of your driving history in order to make sure that you are getting a quote commensurate with your level of risk. The insurance company can’t access your entire driving record however they can view a summary listing which has facts related to your driving history. Some of the information listed there which could affect your insurance rate includes recent tickets, convictions, accidents, and any other related information regarding your driving history. The insurance company will be able to view information listed for the past three to five years and more. As you apply for insurance coverage, having a copy of your driving record will help you to know ahead of time what information could be affecting your insurance rates. In the event that your insurance premiums are higher than they normally are, you can identify the cause by checking your AZ driving record. After the insurance company has accessed your driving history report, they will be able to tell what level of risk you pose as a driver. Some of the factors that may influence their decision include DUI convictions, accidents, driving violations, or other infractions. At 4safedrivers.com, we make it simple to get the right DMV printout in Arizona. 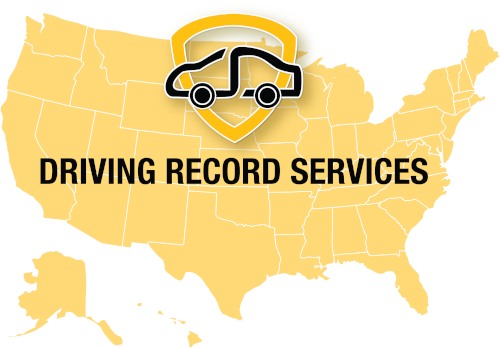 Since 1999, we have been a leader in the driver’s license record industry ensuring the maximum amount of accuracy for every report. Simply fill out our online form so you can have your Arizona driving record sent to you by email.